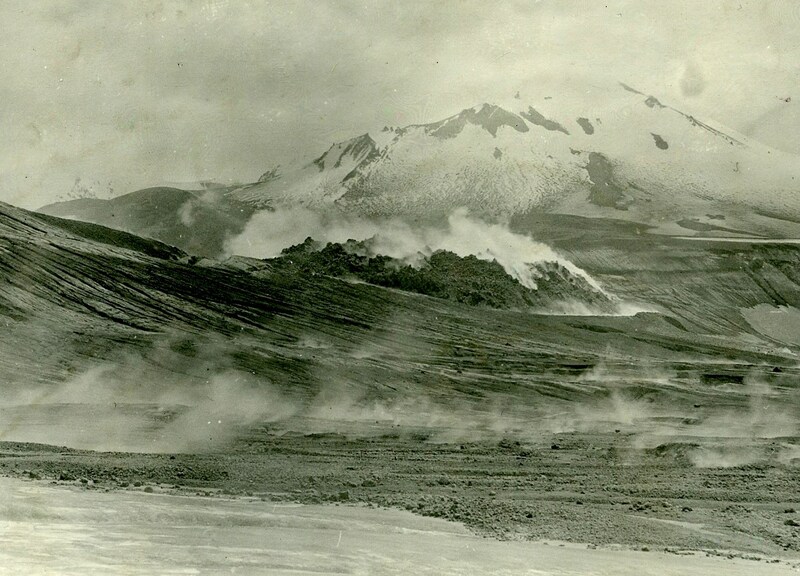 On 6 June 1912, Novarupta, located in the Aleutian Range, erupted. The 60 hour eruption would end up being the most powerful volcanic event of the 20th Century. The people in Juneau, Alaska, 750 miles away, heard the blast from the eruption an hour after it occurred. In the end, 30 cubic kilometers of ejecta blanketed the area. That was 30 times more than the 1980 eruption of Mount St Helens; 3 times more than the second largest eruption of the century from Mount Pinatubo; and more ejecta than all of Alaska’s historic eruptions combined. The ash fall was so heavy, that roofs on buildings on Kodiak island collapsed from the weight. The pyroclastic flow from Novarupta, filled 20 km of the valley of Knife Creek, turning the v-shaped valley into a wide, flat plain. When it was over, the pyroclastic flow would solidify into an area 120 square kilometers at depths of over 200 meters. 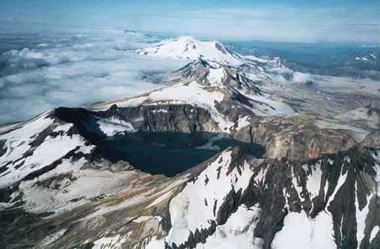 So much magma was expended during the eruption, that the peak of Mount Katmai, which lies 6 miles from Novarupta, collapsed, leaving a two mile wide by 800 foot deep crater. 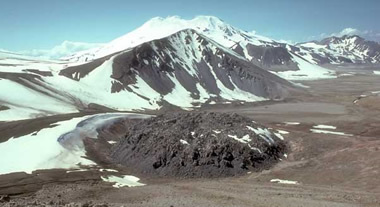 Early investigations had Katmai as the source of the massive eruption. It wasn’t until the 1950’s, when investigators realized that Novarupta was responsible for the eruption, and not Katmai. In 1916, the National Geographic Society sent an expedition to Alaska’s Katmai area. Led by Robert Griggs, it was Griggs who named the former valley of Knife Creek, “The Valley of 10,000 Smokes”. This entry was posted on Wednesday, June 6th, 2018 at 5:06 AM	and tagged with B&W, history, novarupta, photo, travel, volcano and posted in Alaska. You can follow any responses to this entry through the RSS 2.0 feed.